"Daily Social Media Posting Service for Acupuncturists..."
"We do the Grunt Work so You Don't Have to." I'd like to show you how my clients manage to stay active on social media, 5 days a week without lifting a finger. If you’re like most acupuncturists I know, you don’t have the time to update your social media pages with freshly curated and relevant content on a regular basis - let alone every day. So I’m going to show you how we do it for our clients so you can determine if this is right for you too. Social media has matured into a viable branding and referral opportunity for acupuncturists – IF you know how to do it right. But even if you know how to do it right, there is still a major problem with social media... It's VERY time consuming. Today I want to tell you about a social media daily posting service for acupuncturists I developed in 2012 that does all the grunt work for you, so you can focus on what you do best. It’s such a time-saver, that many of the practitioners who signed up during the introductory offer back in 2012, are still subscribed. We post on your behalf, 2 posts per day on your Facebook business page and 1 post per day on your Twitter profile - and we do this 5 days a week. - By the way, we will also post to your LinkedIn newsfeed if you so choose. We post relevant content having to do with alternative medicine, acupuncture, medical news, fitness, yoga, nutrition, exercise, healthy recipes, and an occasional light post that appeals to the population in general. The first post of the day is scheduled at around 1pm, and the second post at around 8pm. NOTE: The content we curate and post for you on Twitter, is different than the content we post on your Facebook page. This is more work for us, but it prevents the overlap in audience seeing the same thing on both social media platforms. 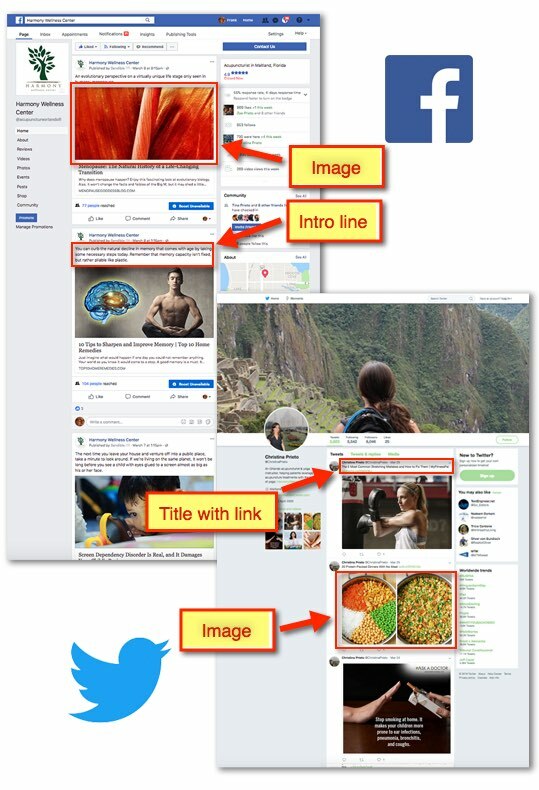 Every post is accompanied by an image which is even more important than the intro blurb. When someone leaves a comment on a post, you receive a Facebook e-mail notification so you can reply or Like the comment. That gets you 10 fresh postings on Facebook, and 5 on Twitter every week. 10 fresh weekly posts on Facebook and 5 on Twitter. 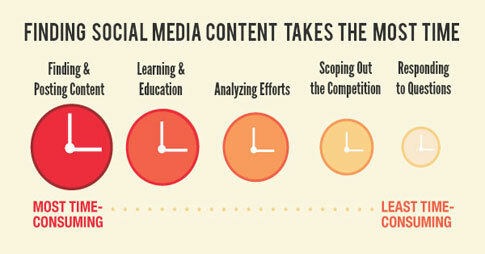 How long would it take you to curate 3 pieces of relevant content on the internet every day and post them on Facebook and Twitter at different times - 5 days a week? Here are some interesting results from a survey of 500 small businesses performed by Vertical Response, an online marketing firm. I know you realize that doing all this yourself is very time consuming. I also know you're busy and probably have other things to attend to right now, so I’m going to wrap this up now and give you two good reasons why you shouldn't put off the decision to jump on this today. 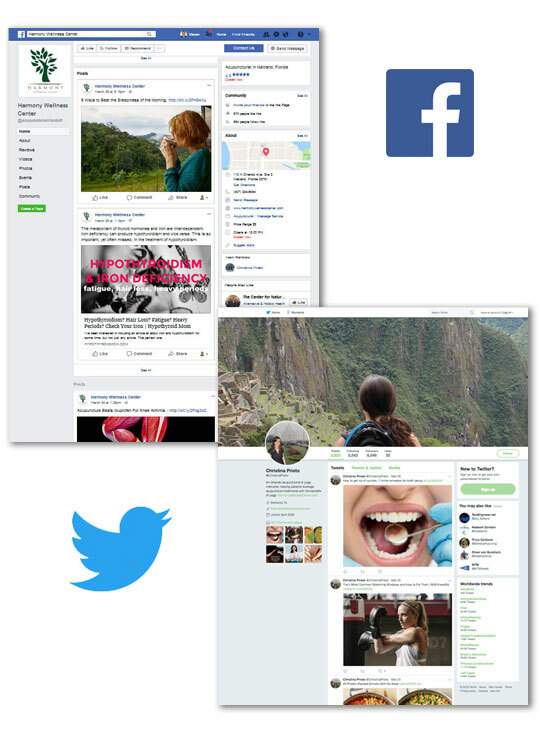 FIRST, this done-for-you social media service, allows you to share fresh, informative and educational content on Facebook and Twitter on a daily basis, without you lifting a finger because we do all the grunt work. It's affordable, but the price is going up because Twitter implemented major changes that created a lot more work for us. These changes had to do with everything that happened during the 2016 election, which caused Twitter to take major steps to weed out all the fake accounts and automated bots, but in the process legitimate services like ours suffered collateral damage. If you care about having an active presence on social media, by keeping your Facebook page and Twitter feed updated with freshly curated and relevant posts on a daily basis, then click on the ‘Sign Up Now’ button below and lock-in the price at $128/month before it's too late. Price increase takes effect Sunday at 11:59pm. There are no contracts and no gimmicks, and you can cancel at any time - No questions asked. Avoid disappointment and lock-in the price today before it’s too late. "If you're comparing two service providers and all things being equal, you click on to their Facebook pages and see that one hasn't shared a post in two years, but the other has a news feed that's updated on a regular basis with informative and educational content, which one would you call first?" A - We have been doing acupuncture marketing for over 12 years and understand the demographics of your target audience and how to market to them. We first tested the service with some picky acupuncturists, and they loved it because the content is relevant, engaging, and keeps them active on the social media networks without having to spend endless hours doing the work. A - Yes, but that option is only available by upgrading to the next level at $297/month. Frankly, we don’t encourage it because the postings get delayed until you have time to approve them. This is very simple, don't make it complicated. A –The first posting of the day takes place at mid day and the second in the evening. We chose these times because they provide the highest user engagement. If you want special posting hours you’ll need to upgrade to the next level at $297/month, but in reality the mid day and evening times are fine. A – Not for Facebook. You just need to make me an admin of your Facebook business page. If you don’t have a Facebook page, we’ll show you how to create one - it’s very easy. We do however need your passwords to set up your Twitter and LinkedIn accounts. After you sign up you'll be taken to an encrypted web form so you can provide your Twitter and LinkedIn login credentials securely. Once we've set you up in the system you can change the passwords if you wish. A – No, we post the relevant and engaging content on your behalf so you can interact with your audience by answering questions or replying to comments when necessary. Most times a simple Like on a Facebook comment is sufficient. All the heavy lifting is done by us, but engaging with your audience should really be done by you - and should be done in a timely manner, usually within 24 hours. A – In today’s environment you need to do it if you want to be active on social media. Social media is not going to solve all your marketing problems, but there is no question it has become an important factor in the mix. While SEO (search engine optimization) and PPC Advertising (Google Adwords) are still the most effective ways to generate new patient leads, social media has become crucial in generating referrals, retaining patients and branding your practice. This daily social media posts service for acupuncturists is our entry level program. The high level stuff is here. A – Yes, but the billing will continue as usual and there is no credit for that time period due to the nature of the service. Sorry. A – You can sign up again any time at the current price at that time. reused in any fashion without written permission from AcuMarketing.com.